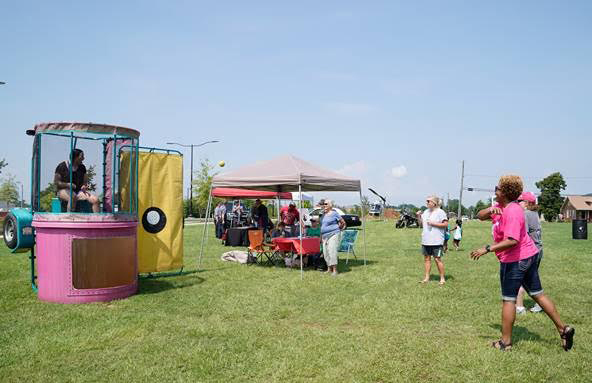 As part of its participation in the Saving Lives Academy program, College Hill Baptist Church featured a wellness clinic during its Alberta Community Extravaganza on July 14, 2018. 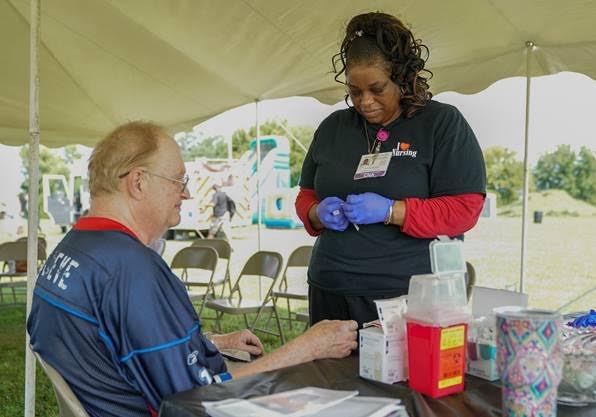 The church invited specialists from the DCH Regional Medical Center, Maude Whatley Health Services, Inc, Five Horizons Health Services (formerly West Alabama AIDS Outreach) and other area medical personnel to provide valuable health information to the community during the annual festival. 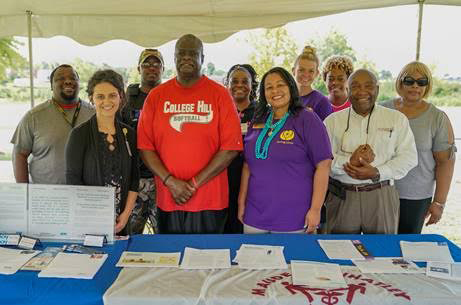 College Hill is one of the founding partners of Saving Lives, an outreach of The University of Alabama’s Division of Community Affairs and its Center for Community-Based Partnerships (CCBP). Saving Lives has recently expanded to include training church members to be leaders in health advocacy. Croom said the church attempts to incorporate healthy choices in all of its outreach and leadership activities. The church does this by making healthy choices in food preparation for all its events and by adding exercise opportunities. The day before the festival, the church conducted a blood drive. Croom’s son, Kevin Croom, has organized a youth basketball league. He said the church decided this year to fold the health fair into the community festival in an effort to reach more people. “We are trying to engage the community with something fun, but also include healthcare screenings, something serious,” said Lanier. 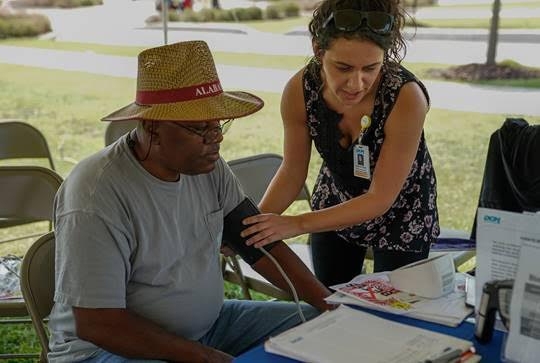 Healthcare professionals provided information about HIV/AIDS, diabetes, high blood pressure, smoking, heat related illnesses, cancer and pregnancy. In addition, people could get their blood pressure and weight checked. “We’re always looking at a means of giving back to the community, but we also need to have fun as Christians,” the Rev. Croom said. Saving Lives is an initiative led by Dr. Nicole B. Prewitt, CCBP director of programs and partnerships in the Division of Community Affairs. To learn more about the program, contact her at nbprewitt@ua.edu or at 205-348-9819.